Social media is here to stay in a big way. One of the best ways for businesses to connect with a target audience is to maintain an active presence on social media channels. The era of, “My business is open, come and see me” is long over. Now, savvy business owners know they must go where consumers are and establish a relationship. Social media is THE place to do that, easily and relatively cheaply. Therefore, as you embark on planning your social media marketing strategy for 2019, get on board with these important trends. They either gained popularity or became firmly established during 2018, and will play a vital role in how you connect with your audience in the coming year. In the early days, companies could fully expect that 16% of their followerswould see their Facebook updates. By the end of 2018, that reach had plummeted to about 6% or less. Other social media platforms have followed suit. The day or organic reach has ended. Social media platforms will not give away what they can reap a huge benefit from – your followers. Now, you must pay to play. Now, in order to reach your target audience on any social media channel, you must invest in sponsored posts, boosted posts, and social media ads. Fortunately, social media advertising is one of the most affordable means of marketing available. If you handle your own keyword research and audience targeting, Social media marketing is much more affordable than pay-per-click advertising. That is easy to accept when we also realize that 95% of Internet users have watched explainer videos to learn more about a product or service, and 81% have bought a product or service as a result of watching a company’s advertising video. No other form of media can boast these high use and conversion percentages. Video is the absolute best way for a company to put a face to their business. It enables prospects and customers to get to know who leads and works in a business. Video gives businesses an opportunity to show not only what they do but also “who” they are. In our current climate where users seek a personal connection, this is a critical factor. Live-streaming will continue to emerge as a powerful way to engage people on social media. According to statistics compiled by Go-Globe, two-thirds of all internet traffic in 2017 was streaming video. By 2020, 82% of internet traffic is expected to be video content. And most of that will be live streaming. The interactivity of live video makes it a powerful tool for marketers to engage with their audience and strengthen the relationship between a brand and its followers. The authenticity of ‘going live’ is a key factor that audiences want, as it helps build trust and loyalty with your company. Even if problems arise when you are ‘live,’ followers are likely to understand that and it may even further strengthen their trust in your company, as only authentic content leaves room for genuine mistakes. Word count isn’t everything when it comes to ranking high on search engines like Google, but SEO experts agree that long-form content can give you an edge. Users and search engines alike want to see high-quality content of more than 1,000 words, and we see that such content consistently outranks articles with 500 words. Therefore, more publishers are requiring writers to submit articles over 1,000 or 1,200 words, and more company blogs are beginning to embrace similar long-form content. These comprehensive articles that are rich with information and insight, will go far to both attract readers and give Google and other search engines a reason to rank them more favorably. Building a community in social can help you to build trust with your followers. Groups on LinkedIn and Facebook are being encouraged on both platforms. And once you begin building that following you have to immerse yourself and be engaged. Using hashtags in Twitter and Instagram can help you to find conversations that your community are having and allow you to join in. Communities can also help to segment your audiences and customize your messaging. By the way, building community is the perfect way to build your personal brand and can be the beginning of influencer marketing! Particularly for small businesses, putting a real, human face to a brand name helps to build loyalty. A brand that’s more relatable, and has the human element, naturally garners more trust, and trust is essential for building relationships. Many companies have used the tactic of promoting their brand by promoting the business owner. His or her face essentially becomes the brand, closely associated with the company logo. He or she personifies all that the company is about, or at least what they wish to portray. 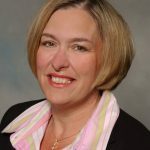 By enabling your audiences to get to know the character and expertise of company leadership, your business can strengthen its brand reputation. 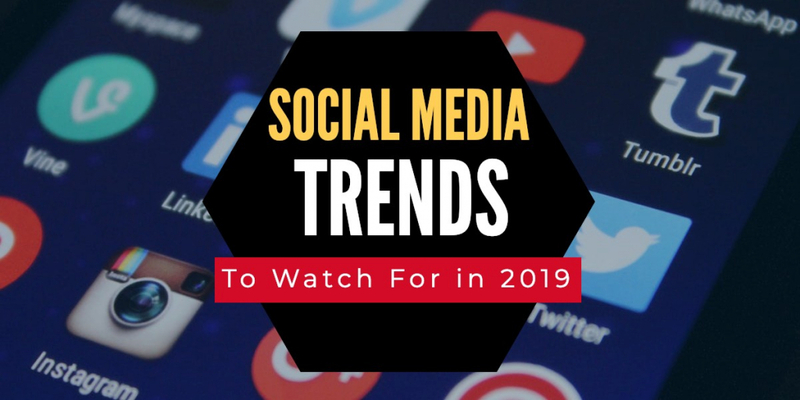 What other important social media trends do you see emerging for 2019? Share your thoughts and insights with our readers in the comments below. Thank for you for sharing these trends, however, using social media management tools like buffer, tailwind make the job much easier.